Admittedly there was one downfall to lunch and that was a less than timely service, but an hour later of pleasant conversation we were waiting only one thing, dessert. And given that it was strawberry shortcake, we were prepared to stay until we got some. 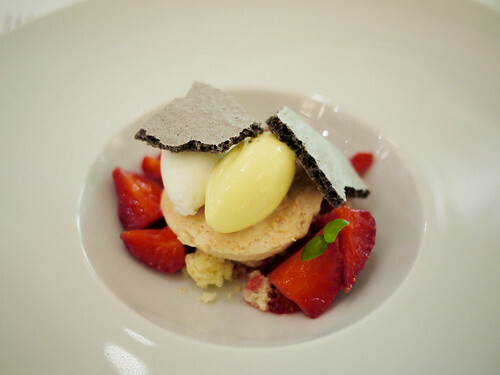 Good thing too, it was light and airy with soft, rich little bits of strawberry setting off the dish.